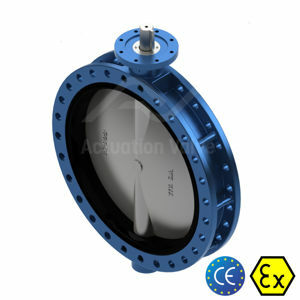 Butterfly Valves are commonly used in applications that require isolation or flow control of liquids, gases and even some solid particles as part of a pipeline. These Industries can include Petroleum, Oil & Gas, Water, Wastewater, Chemical, Power, HVAC & Pharmaceutical. 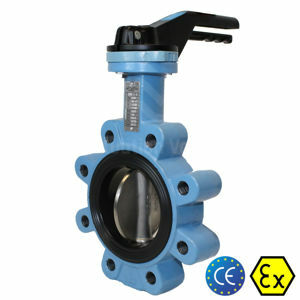 Allowing for a quick shut off, these types of butterfly valves are now commonly being used in place or as an alternative to ball valves. 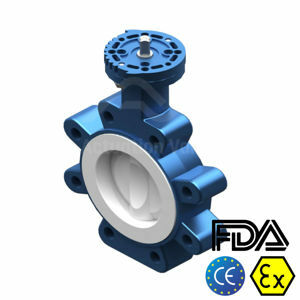 This is due to the general lower cost, weight and installation difficulties than can come with larger sized Ball style with Butterflys requiring less space and support in the pipeline. 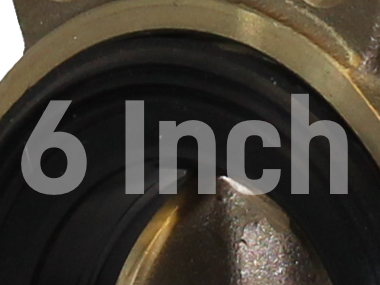 Less space, results in less material, bringing significantly lower costs in the process. 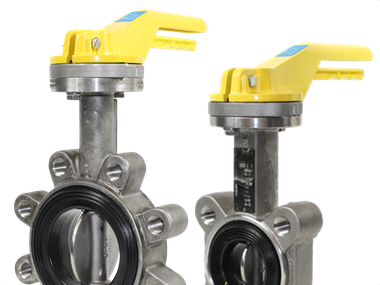 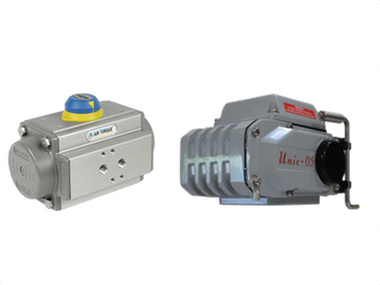 As part of Isolation applications our valves can be fully open or fully closed with quarter turn movement (90 Degrees) of the functioning lever or actuator. 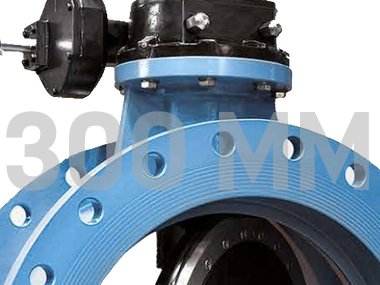 When closed, the reliable seal and disc can provide 100% leak tight downstream shutoff and low pressure loss across the valve when opened through a streamlined, energy saving metallic disc. 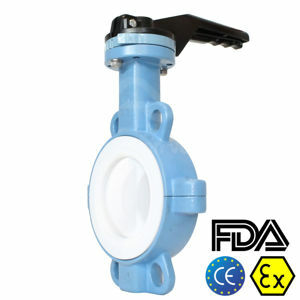 These types of valves can also be used to regulate flow pressure or temperature through a multi-position lockable lever or 4-20mA 3-15 psi control. The main components of the butterfly valves consist of the Body, Shaft, Disc, Elastic Ring (Seat/Seal) O-Ring, Circlip, Washer & Mounting Flange. 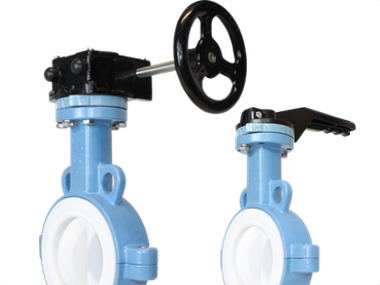 All of which are available in different materials and specifications to suit your application requirements including Ductile/Cast Iron, Stainless Steel, Duplex, Aluminium Bronze, Carbon Steel & Super Duplex. 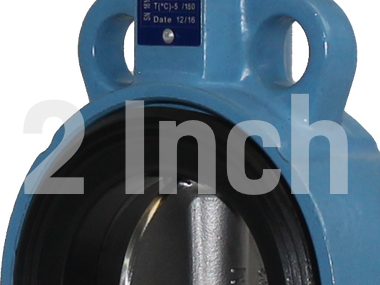 Depending on application requirements our Butterfly Valves are also available in a number of body designs including Wafer, Lugged, Flanged, Double Flanged, Triple Offset, Grooved End and High Performance. 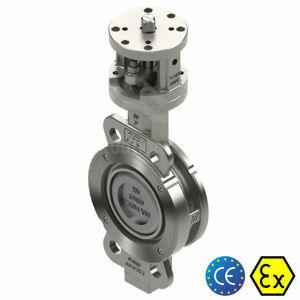 Actuated Butterfly Valves are available in both pneumatic and electric operation and can be beneficial for use in remotely accessed areas, valves that require larger torque figures to operate, timing or synchronisation and reliability. 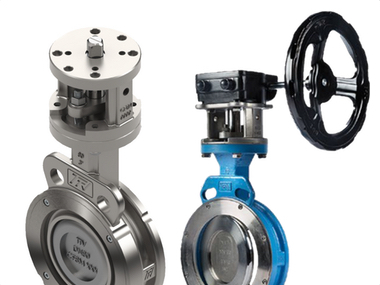 Pneumatically Actuated Butterfly Valves provide the quickest form of operational control for open/close functionality and are available in both double acting and spring return units with either direct/solenoid operation. 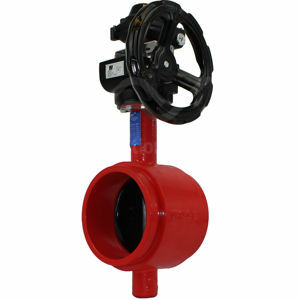 Spring Return units can be setup in a fail safe closed mode for critical lines were the Valve will return to the closed position upon the event of power failure through the loaded springs. 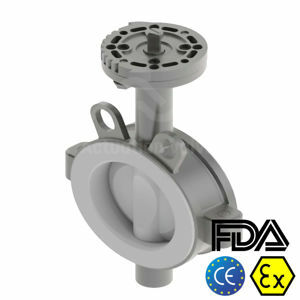 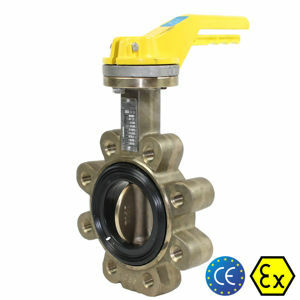 Fail safe open Valves are also available upon request. 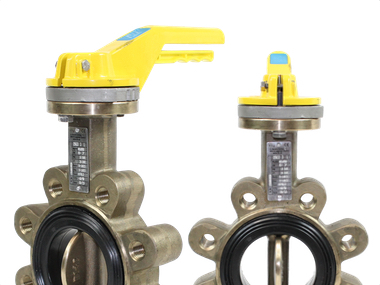 Electrically Actuated Butterfly Valves provide an alternative solution to Pneumatic Actuation where an air supply may not be available on site or is restrictive. 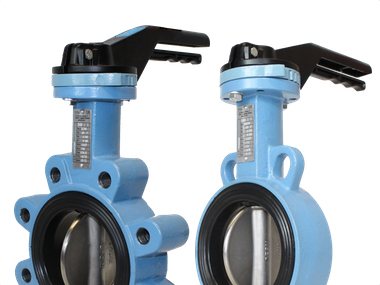 This can initially be significantly more expensive than that of Pneumatically Actuated Butterfly Valves but requires less maintenance and running costs that result from compressors and air lines. 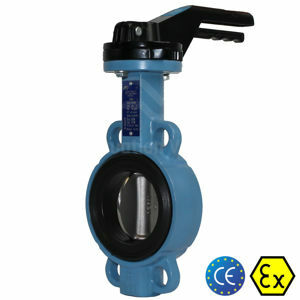 Electrically Actuated Butterfly Valves are available in a number of voltages including 24VAC, 110VAC, 240VAC & 24VDC with all zoned area and worldwide safety certifications and requirements. 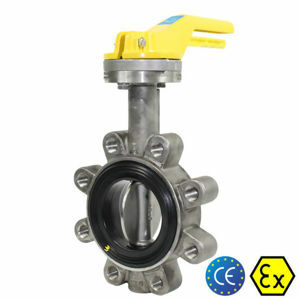 Gear Operated Valves provide a manual, hand wheel operation for predominantly larger sized butterfly valves that require a breakout torque too difficult to operate with a lever alone.